Latest publications as well as materials on Moon Phases. Find out about mysteries, stories as well as useful advice on Moon Phases. 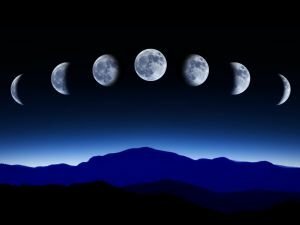 Read the latest write ups along with articles about Moon Phases. This Saturday, November 4, during its full moon phase, the Moon will be at its nearest point to Earth. The last time our planet's natural satellite was this close was 60 years ago. At 11:00 am UTC, the New Moon phase entered the sign of Cancer. The power of the Moon today will help us in fulfilling wishes that fall under the dominion of the water sign. In the hours between June 20 and June 21, both the Full Moon and Summer Solstice are going to take place simultaneously - an event that hasn't occurred since the year 1967. At 6:21 pm today, the full moon will shine in the sign of Leo, which will pour additional energy and strength into everything we have planned. A waning gibbous moon has an exceptionally weak and ineffective influence on Earthly processes, according to astrologers. A waning gibbous moon also has no active interaction with the other planets. The first 8 hours of the New Moon are the most powerful. Find a pen and paper and write your wishes down during that brief period. At the same time, during the day it's highly likely we'll be more scatterbrained, unpredictable and buried by information from just about any field. As such, some zodiac signs will be in their element, while for others the day will be quite stressful. On September 28th at 02:50 UTC, the full moon phase occurred in fiery Aries. This will fill the day with enthusiasm, energy and make the majority of people more ambitious.